Have you decided that you want to pursue a career as a medical assistant? If so, congratulations! Medical assistants play an important role in today’s healthcare system. 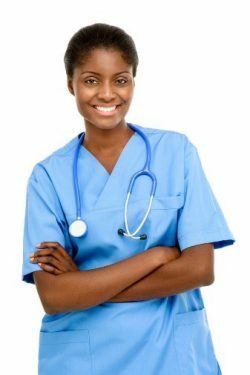 Once you have decided that you want to pursue medical assistant jobs, it is important to realize how to set yourself up for your medical assistant career. Anyone can read a medical assistant job description, but what other info do you need to know? What are the skills needed to excel in your medical assistant career? Well, you are in luck! We recently sat down with Ms. Monica D. Cronk, the Medical Programs Manager at our Waterford-Pontiac, MI campus (a branch campus of Madison Heights). During our conversation, Ms. Cronk shared some helpful tips for future medical assistants. Come with an attitude that will change the entire office setting (positively). Always come to work smiling and full of energy. Be eager to grow, learn and be a team player. Respect authority and abide by all rules and regulations. We have expanded on each of these a bit more below. Check them out! We hope these tips are helpful as you prepare for your medical assistant career! Come with an attitude that will change the entire office setting (positivity). Having a positive attitude and outlook is important. Fostering a positive attitude at work can also help you in your medical assistant career. Doctors’ offices and clinics (where many medical assistants work) can be stressful places. It is important that everyone in the office realize that they are all in this together. Coming to work with a positive attitude cannot only help positively change the office setting; it may also position you as a leader within the office who stays calm under pressure and stress. Be Creative / Show Flexibility. A medical assistant job description is likely to include a number of tasks. Medical assistants can perform both clinical and administrative tasks in the workplace. As a result, it is important that medical assistants be creative in how they approach their work. No two days are likely to be the same. It is also important for medical assistants to be flexible and open to the different types of tasks and work they may perform in their role. Medical assistant jobs can be tough. These healthcare professionals are usually working on their feet all day. They are also on the front lines working with patients who likely do not feel well. As a result, it is important for medical assistants to always come to work smiling and full of energy. This mindset can help them throughout the day, despite challenges that may come their way. Launching your medical assistant career can be very exciting. A successful medical assistant knows that they should always be eager to grow, learn, and be a team player. These traits can help position a medical assistant for success. That is because medical assistants are part of a healthcare team. They work closely with doctors and other healthcare professionals. Those who stretch their thinking may find themselves open to other medical assistant job opportunities in the future as well as personal satisfaction from doing a good job. Abiding by rules and regulations is something that is likely part of any medical assistant job description. This, along with respecting authority, are critical to your medical assistant career. As healthcare professionals, medical assistants must always do right by their patients and the places where they work. Be honest, be ethical, and have integrity – these attributes can help take you far in your medical assistant career. Dorsey Schools offers medical assistant training in Michigan. The Medical Assistant diploma program is designed to help students prepare for a career in this branch of healthcare. Medical assistants can be found performing both administrative and clinical tasks. The program at Dorsey Schools combines classroom instruction along with hands-on practice in the labs on campus. In addition, students will be able to practice the skills they have learned during their externship. The Medical Assistant program at Dorsey Schools is designed to be completed in just one year! Are you interested in training for a new career as a medical assistant? If so, give Dorsey Schools a call at 888-422-1188. You can also request info online.